In 2015, after 12 years, Point Park finally dropped its appeals and agreed to open talks with the faculty, who are represented by the Newspaper Guild/Communications Workers of America. However, 140 of our full-time professors are still working without a contract, and progress has been very, very slow. I was 10 years old when the legal battle began. Twelve years is a long time. Michael A. Fuoco, president of the Newspaper Guild of Pittsburgh, said contract negotiations with representatives from the university have moved slower than he expected. 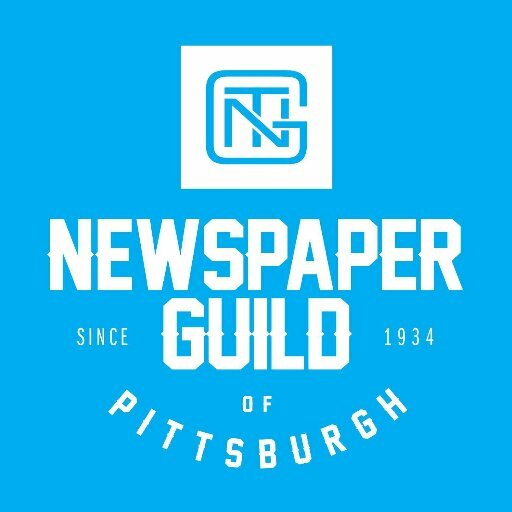 Since 1996, the Newspaper Guild of Pittsburgh has awarded almost $60,000 to students preparing for careers in journalism through two scholarships, in the memory of our late vice president, columnist Sally Kalson, now valued at $2,500 each to undergraduates who plan careers in print journalism as reporters, copy editors, photographers, paginators or graphics designers. This money is raised through “Off the Record” a satirical production of the Newspaper Guild, the Screen Actors Guild and the American Federation of Radio and Television Artists. In addition to supporting the scholarship, the primary beneficiary of this effort is the Greater Pittsburgh Community Food Bank. The winners are chosen by a volunteer committee of Guild members who score entries based on academic achievement, quality of journalism in the writing samples submitted, letters of recommendation, a personal essay. Delaney Hassell of Erie is a sophomore at Robert Morris University and news editor of RMU Sentry Media. In that capacity, she is a writer, editor and manager of the news section. In continuing coverage, she followed the selection process of college president Christopher B. Howard and was able to get interviews with key members of the selection committees. As a sophomore, her short, busy career has continues to prepare her for a future in evolving journalism, with exposure in all areas of the field. In 2014 she received the RMU Academic Media Center’s Newcomer Award and placed second for a multimedia story submitted to the Society for Collegiate Journalists. Delaney is a member of the Western Pennsylvania Press Club and the Women’s Press Club of Pittsburgh. She’s joined here today by her parents Bill and Eileen Hassell. Today we are also happy to recognize Kimberly Baston, a junior from Waynesburg University and executive editor of the Waynesburg Yellow Jacket. Kimberly is a student writer for the office of University Relations at Waynesburg and has worked as a stringer for the Greene County Messenger. She is a three-time winner of the Mark of Excellence Award from the Society of Professional Journalists, Region 4, and has also been honored by the American Scholastic Press Association. She has placed first for ongoing news coverage in competition for the Keystone Press Awards. Kimberly is a graduate of Norwin High School and is here today with her parents Barb and Ray Baston. The Newspaper Guild of Pittsburgh Local 38061 is offering two $2,500 scholarships in memory of our late vice president, columnist Sally Kalson, to undergraduates who plan careers in print journalism as reporters, copy editors, photographers, paginators or graphics designers. One-page, typed, personal statement outlining background and professional goals in journalism. 2 published, single byline examples of your work, including newspapers, online stories, clippings, photographs, paginaton/layout, graphics or artwork. For convenience in judging, online work must be provided in a printout of the web page, complete with web address and date of publication. You must have completed at least three semesters and have at least one full semester to complete. Download the scholarship application form (right-click “Save as”). 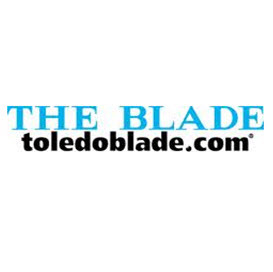 In an effort to encourage more traffic to our online products – toledoblade.com and the eBlade – we are making an adjustment in our print-publication schedule. There will be no printed version of The Blade on the following holidays: Christmas Day, New Year’s Day, President’s Day, Memorial Day, July 4th, and Labor Day. We will have a print edition on Thanksgiving. If any holiday falls on a Sunday, there will be a printed newspaper. The change will begin on Dec. 25 of this year.